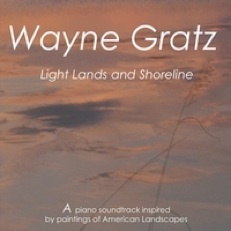 Soul to Soul is pianist/composer Wayne Gratz’s second independent release on his own label, and what a beauty it is! I have been a very big fan of Gratz’s music since I discovered his first album, “Reminiscence” (Narada 1989), and I think this is his best album yet. I’ve interviewed Gratz several times over the years, and know him to be a soft-spoken, unassuming person with a great sense of humor and a deep appreciation for the wonders of nature, and those qualities are very apparent in his music. Gentle and reflective, the music only suggests what it might be about, allowing for personal interpretation and visualization, taking the listener to a place of peace and serenity. Primarily a piano album, Soul to Soul also has subtle strings, guitar, voices (no lyrics), and low-key synth washes. Every track is a gem - there is no filler on this CD at all. Soul to Soul opens with “Arise,” which has a buoyant vocal line that keeps the rhythm bouncy despite the more reflective piano. Listening carefully to this piece, it’s really kind of odd that the combination works so well, but it is very effective. “Quietude” has a shimmering stillness with a lot of space between the piano notes. 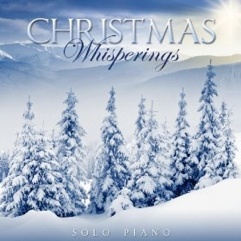 The quiet strings in the background enhance the sense of peace and soften the percussive quality of the piano. Gorgeous! “Feels Like Spring” is joy set to music. The swirling sensation feels like a gentle spring breeze that gets new flowers fluttering. “Talk to the Heavens” is the piano combined with synth sounds that suggest vast, dark space - cool and peaceful. “Reflection of a Summer Rain” is one of my favorites. The piano isn’t as minimal on this track as some of the others, but it’s a deeply heartfelt piece rather than a bravura performance. “Gravity” is another favorite, and a piano solo. Open and uncluttered, the elegance of Gratz’s touch says it all - a perfect piece about perfect peace! “Intermission” is also a piano solo, and is flowing and reflective. I love Gratz’s solo work, and these two pieces are good indication of why. “A Search for Certainty” has a graceful flow, and the gentle bells and synth washes create an ambient backdrop for the piano’s searching and questioning spirit. “Traveler” is my favorite. A piano solo with very minimal synth in the background, the piece has a feeling of vast space and of floating. I don’t think this “traveler” is on a city bus! My impression is of letting the mind and imagination take you where you’ve never been before, and surrendering control. Absolutely gorgeous and utterly soothing. The title track is an upbeat ensemble piece that joyfully expresses a sense of freedom. 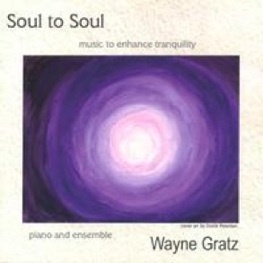 I enjoy all of Wayne Gratz’s many recordings, but Soul to Soul is just about perfect. It will be available from waynegratz.com on September 6, 2005, and will go into larger distribution sometime after that. I give it my highest recommendation.